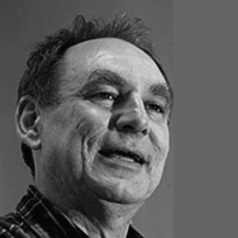 Jon Crowcroft is the Marconi Professor of Networked Systems in the Computer Laboratory, of the University of Cambridge. Prior to that he was professor of networked systems at UCL in the Computer Science Department. He has supervised over 45 PhD students and over 150 Masters students. He is a Fellow of the ACM, a Fellow of the British Computer Society and a Fellow of the IEE and a Fellow of the Royal Academy of Engineering, as well as a Fellow of the IEEE. He was a member of the IAB 96-02, and went to the first 50 IETF meetings; was general chair for the ACM SIGCOMM 95-99; is recipient of Sigcomm Award in 2009. He is the Principle Investigator in the Computer Lab for the EU Social Networks project, the EPSRC funded Horizon Digital Economy project, hubbed at Nottingham, the EPSRC funded project on federated sensor nets project FRESNEL, in collaboration with Oxford; and a new 5-year project towards a Carbon Neutral Internet with Leeds. Jon's research interests include Communications, Multimedia and Social Systems, especially Internet related.